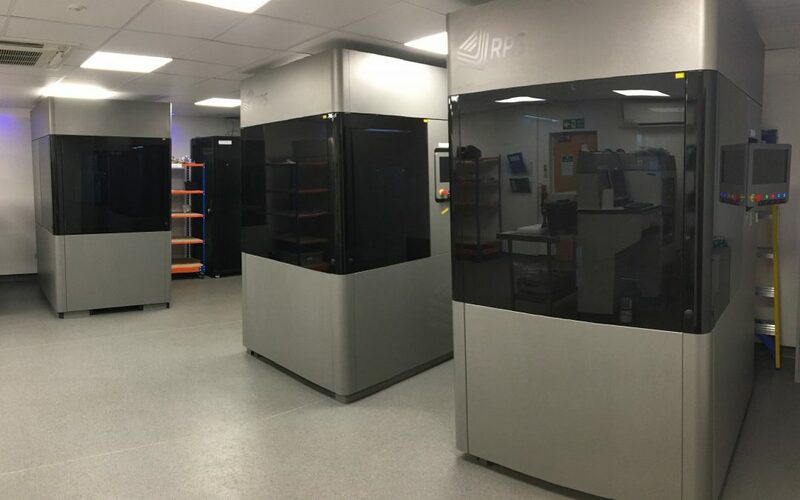 Darlington-based 3D print specialists Paragon Rapid Technologies has become the only service provider in the world to have three industry-leading NEO800 3D printers from UK manufacturer, RP Support. Using the Stereolithography (SLA) process, all three machines are running WaterShed® 11122 to produce clear, durable, water-resistant components with high dimensional stability. The NEO800’s variable laser technology offers printed parts with superior side wall quality and an unrivalled build definition to reduce the need for surface finishing. Alongside a larger build platform of 800mm x 800mm x 600mm for bigger 1-piece models, an optimised build speed now means that Paragon customers are also benefitting from improved lead times and lower costs. This growth in capacity in response to increasing demand for high definition SLA models is indicative of Paragon’s ongoing commitment to producing superior parts through its growing Additive Manufacturing suite. “The industry is constantly pushing the boundaries of 3D print performance, with users looking for more economical ways of producing their parts and products. We’ve found that our NEO800 machines are far exceeding expectations.” said Phil Adamson, Managing Director at Paragon.